Two players, one Bust cup: It's time for an All-Star Matchup! Synopsis: No lies here, folks Rafael Palmeiro has tested positive for victory. 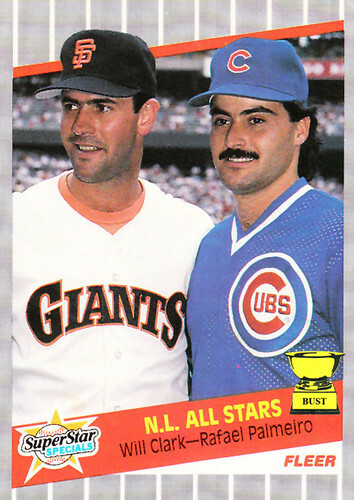 Will Clark will have to take solace in the fact that at least he's not one of baseball's all-time scumbags.